Moses wanted to know why God picked him. He was looking at himself, trying to imagine what God saw in Him. His question alludes to the suggestion that God might be making a mistake. But it wasn’t about Moses’ qualifications. Nor is it about mine. It’s about God’s purposes in our lives. Because of Grace, I am God’s Beloved and you are too! What if we all believed in our belovedness? What if we lived from this truth? The truth is that we are unconditionally loved by a Creator who loves and accepts us completely. How does knowing this change things for you? Beloved from becauseofgrace on Vimeo. Sometimes we can’t pray away the pain…we have to go through healing first. The worst thing about believing the lies of another person is the internalizing of the pain of being wrong about them. I wondered how I could have been so stupid. So blind. And so willing to believe. The other worst thing about believing lies is the assault to my confidence. Maybe you have felt this loss too. Our society deems some sins and some lapses of judgment worse than others. If I listen to these voices of condemnation, mixed with voices of the liar, then these voices can drown The Voice of Grace. I wrote then, “Knowing the truth of your story is a powerful antidote to the shame, doubt, and the negative voices of others that have infected the story you tell yourself. God wants you to know the truth.” And so He does. And there is more. There is The Voice of Grace. And as I retrain myself to listen to the voice of Grace, I remember and re-learn about my Belovedness. Beloved becomes my Focus Word, a sort of “take that” to the lies and the liar. A sort of: Sticks and Stones may break my bones but I am Beloved so you can’t hurt me. The potential quicksand of this is that I may begin to believe more in my belovedness instead of who died for me and who is The Beloved. Deceiving voices will twist the best of intentions (recovery) into idolatry (the belovedness of me to the exclusion of the Belovedness of HE). It is essential for me to wait for the sound of His voice before I make decisions and before I believe too exclusively in the exclusive sparkle of my own Belovedness. In spiritual dyslexia, I reversed the order of Proverbs 3:5: Trust in the Lord with all your heart… And do not lean on your own understanding. It becomes time for me to center and reacquaint the focus word Beloved as being about Him and not me. Know the names of the Beloved. Repeat and Claim the names. Study the words of The Beloved. Read the prayers of The Beloved. Read the prayers of the leaders in the Bible. Put these prayers into practice. Share with others close to you The Truth of The Beloved. Remember, He started it. A mature man in the faith admonished me to reach out to others in spite of my own pain, “Invest in someone else,” he said. I did not realize what a place of healing and comfort that would become. Because of Grace, i have received shared belovedness from The Beloved. Step 7 in this list is empty. Might you also share through a comment your step 7 here? Knowing the truth of your story is a powerful antidote to the shame, doubt, and the negative voices of others that have infected the story you tell yourself. God wants you to know the truth. Our pain often diverts us from His promise . Just as I am… Just as we are. What if you always remembered that you are Beloved? 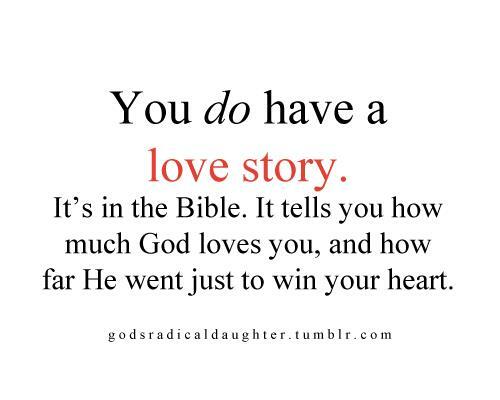 When you feel unloved, God says: You are LOVED.